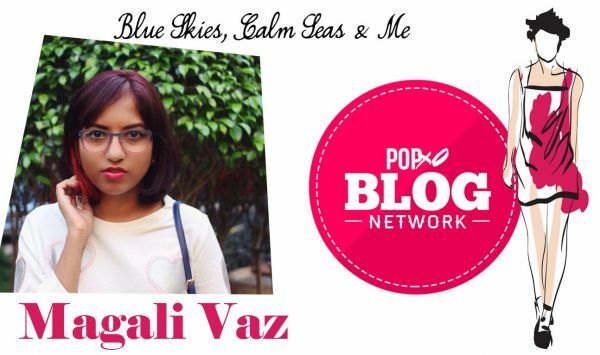 Magali Vaz of Blue Skies, Calm Seas & Me Joins The POPxo Blog Network! What sparked your interest in fashion/ beauty? I've always loved the idea of fashion as a means of self expression. As a kid I was quite individualistic when it came to my sense of dressing and I always wore what I wanted (no matter how silly it looked!). I love reading about the history of fashion, especially fashion throughout the 20th century - it's such a significant part of every culture. Makeup is something I've always loved to experiment with, and I love the transformative power of it - how a little bit of makeup can really enhance your look or more of it can make you look like a completely different person. What is your first fashion/ beauty memory? My mom was never into fashion that much, so my first fashion memory is posing in my aunt's court shoes as a four year old, with my hand on my hip all, just like a model. And my first beauty memory is of course raiding the bathroom cabinet to try on my mom's lipsticks! Comfy and casual, with little hints of quirkiness. I've had 'blogs' since early 2000 as I've always been a geek who loved to write. 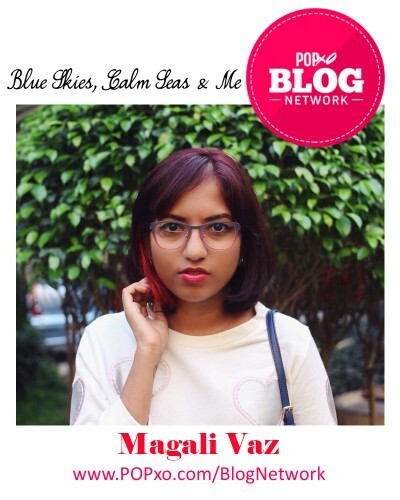 I started Blue Skies, Calm Seas & Me in 2010 to have a separate blog for my fashion posts. 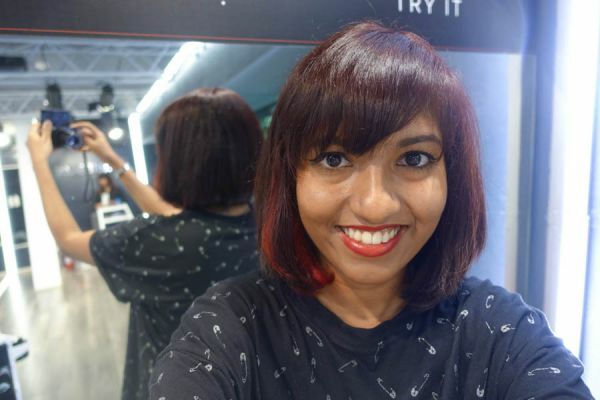 I was inspired by Karishma Rajani of Purple Peeptoes (also a member of the POPxo Blog Network, woohoo!) and loved the idea of a blog documenting my personal style. Over time it also expanded to include my obsession with all things beauty and makeup related. Be original and stay true to yourself. Blog about what YOU like, and not just the latest trends & fads. Try to be somewhat frequent, but ultimately content & quality is king (queen?). When you blog about things you're passionate about it doesn't feel like work and it's a joy to do. Nuxe Reve de Miel lip balm. It smells heavenly and makes my lips so soft I can wear all the matte lipsticks without feeling uncomfortable (even in winter). A sweatshirt or band t-shirt, well-fitted skinny jeans, and Vans or Native shoes depending on the weather. While there are certain trends I dislike (bandage dresses, lucite heels, or bags with loud branding), I've learnt that when it comes to fashion, never say never! I hated animal prints when I was young, and now I love wearing them (in moderation). When you're happy with where you are in life. I'm a very messy person. In fact, I probably can't function with all of the important stuff strewn all around me. My mother, who's always there to support and help me! 10. If you could be anyone for a day, who would you like to be? David Bowie - I'd love to see how one of the most significant rockstars of all time spends his life in retirement. It feels amazing to be a part of the POPxo blog network among such fabulous company and I am so excited for everything that's in store! MUST-READ: Many Amazing Women, One Amazing Concept - Announcing the POPxo Blog Network!